Solid Redwood Pine blocks, edge glued with a colourless interior adhesive to produce a wide, robust furniture panel. These panels are manufactured using a one piece 45mm block each laid with alternating end grade then bonded using a colourless interior glue, allowing the production of wide, robust furniture panels with minimised twisting and cupping. All panels are produced to a high quality A/B grade then surface sanded to a 120 grit finish to allow immediate use in furniture, manufacture and joinery applications. Hanson Plywood sources its collection of Redwood Pine Panels from PEFC™ or FSC® Certified forest concessions. The company’s robust Chain of Custody management system ensures that these certifications are respected and adhered to throughout the supply chain. For further information on the company’s Chain of Custody management system, please refer to our Environment Page. 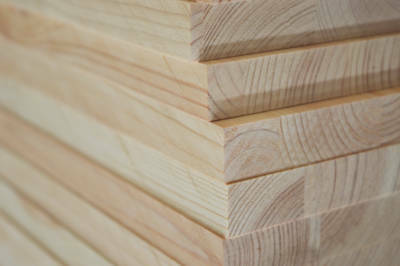 Hanson Plywood’s current stock of Redwood Pine Panels originate primarily from PEFC™ Certified concessions in Finland. FSC® Certified panels are also stocked and they are sourced from Denmark and Sweden.